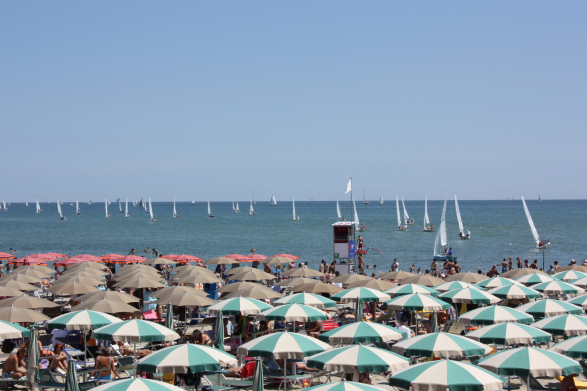 Preparations are underway for the Piada Trophy which will be held in the waters of Cervia on June 28-30. More than a month before the starting signal, it is already confirmed that two-time world champion Augie Diaz with Katthleen Tocke and the “Brazilian Queen” specialist of light airs Bibi Juetz with Felipe Sabino will attend. Augie will attempt to finally win the regatta after brilliant results (always on the podium) in previous editions. There will be also four teams from Croatia, and we are expecting final confirmation by two other strong teams from the US and one from Canada. From northern Europe, Harald Walder has confirmed his participation. In the coming weeks we believe that other “not-Italian teams” will sign up for the regatta. The regatta will be the Summer Circuit Cup together with the Kvarner Cup (July 6-7) in Croatia. The full program of social events that made this regatta so well known in the racing world has been confirmed, including the go-kart race called “Piada grand prix” at Happy Valley Kart track, the “Piada Party” – dinner with piadina and many other typical products from Romagna, to be followed by the lottery “Piada Bingo”. A “Piada” thereby confirms its sporty and playful vocation … “Serious Sailing, Serious Fun”® ! I invite all the teams to pre-register as soon as possible and no later than June 22 on the website www.piadatrophy.org, or www.circolonauticocervia.it, where you can fill and send online registration.